Yes, I agree with that. I would even go further, and say that there are not really particles in quantum mechanics. There is no particle in the sense of a specific position and momentum. The particle-like objects also have wave properties, and only truly look like particles in the instant of a particular observation. 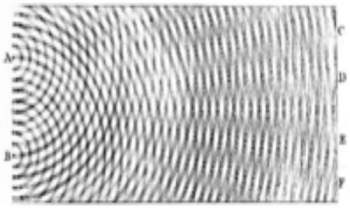 The double-slit experiment is often explained as the particle being in both slits at the same time. I guess you can think of it that way, but it is not helpful because the particles are never observed in both places at once. I am totally infuriated by this junk because complete idiots who are, scientifically speaking, at least 300 years behind the times claim – and use similar idiots in the media to claim – that they are close to cutting-edge science. I would say only 100 years behind the times. Einstein is famous for saying quantum mechanics was all wrong. That was over 80 years ago. He had nothing better. Neither do any of the other quantum critics. At some point, you have to dismiss these people as crackpots. Chief among the 'elegance will suffice' advocates are some string theorists. Because string theory is supposedly the 'only game in town' capable of unifying the four fundamental forces, they believe that it must contain a grain of truth even though it relies on extra dimensions that we can never observe. Some cosmologists, too, are seeking to abandon experimental verification of grand hypotheses that invoke imperceptible domains such as the kaleidoscopic multiverse (comprising myriad universes), the 'many worlds' version of quantum reality (in which observations spawn parallel branches of reality) and pre-Big Bang concepts. These unprovable hypotheses are quite different from those that relate directly to the real world and that are testable through observations — such as the standard model of particle physics and the existence of dark matter and dark energy. As we see it, theoretical physics risks becoming a no-man's-land between mathematics, physics and philosophy that does not truly meet the requirements of any. I think that most scientists would agree with this. Not sure about Lumo, as he likes string theory, but even criticizes most of these untestable ideas as not scientific. In our view, cosmologists should heed mathematician David Hilbert's warning: although infinity is needed to complete mathematics, it occurs nowhere in the physical Universe. Also correct. Infinities come up a lot in physics, as in the unrenormalized charge of an electron, the center of a black hole, the initialization of the big bang, the infinite extent of space, etc. But none of these should be taken too seriously. They are mathematical models. Arguments about infinitely many universes are just silly. There are limitations to a Popperian account of scientific methodology. The critique has been manifold and substantive at least since Quine. A simply stated criticism is that we don't falsify a theory, we only quantify how accurate it is in different ranges of application. We don't abandon a scientific theory, we find a new theory that is more accurate in part of the old theory's range of application (but there may be other issues, such as greater usability and tractability and good enough accuracy for practical purposes over a wide enough range, so that we are often happy, for example, to use classical mechanics instead of GR or QM). Popper did say some foolish things about scientific methodology. But he is being cited here for how he distinguished scientific theories, like relativity, from unscientific ones, like Freudian interpretations of dreams. Freudians and other promoters of false or untestable or fringe theories have always hated Popper. He is also hated by leftists for writing The Open Society and Its Enemies, a political refutation of Marxism. So yes, people like to pretend that Popper has been discredited. I even criticize Popper's anti-positivism. But his basic idea of using falsification for science demarcation is sound. Ellis and Silk rely heavily on the absence of evidence of superpartners in the first LHC run. How will they respond if superpartners are found in the next run? Does that count as a successful test and reverse their opinion? The literature contains clear and easily understood predictions published before LHC from compactified string theories that gluinos, for example, should have been too heavy to find in Run 1 but willbe found in Run 2 (gluino mass of about 1.5 TeV). Third, it is common that some tests of theories at a given time are not technically possible but become possible later. Entanglement in quantum theory is an example. Yes, supersymmetry in the LHC energy ranges was a testable prediction. I think everyone agrees to that. So far the evidence shows that there is no such thing, but we will not know for sure for another couple of years. I do not know why he says entanglement was not testable. Entanglement was essential to quantum mechanics going back to the 1920s, and was tested many times. 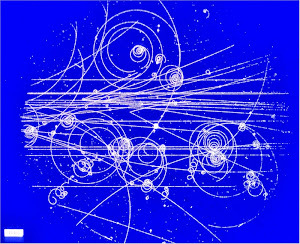 Just about any multi-particle test of quantum mechanics is a test of entanglement. Chief among the 'elegance will suffice' advocates are some string theorists. Because string theory is supposedly the 'only game in town' capable of unifying the four fundamental forces, they believe that it must contain a grain of truth even though it relies on extra dimensions that we can never observe. They completely misrepresent that status of string theory. String theory is not "supposedly" the only game in town. It is the only game in town. And it doesn't contain just a "grain" of truth. It contains the whole truth. Due to its basic mathematical properties, it cannot be just another approximation that has to be deformed to obtain the right theory. It must be the right theory exactly. I agree with Ellis and Silk that the very integrity of science is at stake here. But I think that to deal with these issues properly, we must first understand why there has come to be such an appetite for what I have elsewhere referred to as 'fairy-tale' physics. In his critical 1987 review of John Barrow and Frank Tipler's book 'The Anthropic Cosmological Principle', Danish science historian Helge Kragh wrote: 'This kind of escapist physics, also cultivated by authors like Wheeler, Sagan and Dyson, appeals to the religious instinct of man in a scientific age.' It is also true that this kind of 'escapist' physics is now an integral part of the staple of some aspects of our contemporary culture - from Michio Kaku's 'Science Fantastic', to Morgan Freeman's 'Through the Wormhole' to Christopher Nolan's blockbuster 'Interstellar', not to mention the string of bestselling books that have appeared on string theory and multiverse in the last 10 years or so. We may worry that consumers are getting a very distorted impression of what science is all about, but we can only counter this by helping to make 'real' science at least equally accessible and entertaining. He is right that falsifiability lost support among philosophers of science, but those philosophers are unable to say anything worthwhile about that "escapist physics", and they will not stand up for the integrity of science. Falsifiability is still a useful concept for debunking that untestable physics speculation. General relativity also flagrantly defies your standard: We did modify this theory after it failed to describe the rotation of galaxies, by postulating dark matter. GR+DM is still by far the most successful theory of galactic motion, so clearly any putative definition of science had better be able to accommodate this kind of tweaking that you want to exclude. No, this is a poor argument. Dark matter does not require any modification to general relativity. The observed galaxy rotation, combined with Newtonian gravity or GR, implies that the galaxies have more mass than what we directly see. Some people thought that it might be dust, black holes, neutrinos, or something like that, but the consensus is that these possibilities are not enuf. So the leading view is that there is some dark matter that is otherwise unknown to us. It is also possible that gravity is slightly distorted on galactic scales. But all these ideas are testable and falsifiable, so Cliff makes no sense.